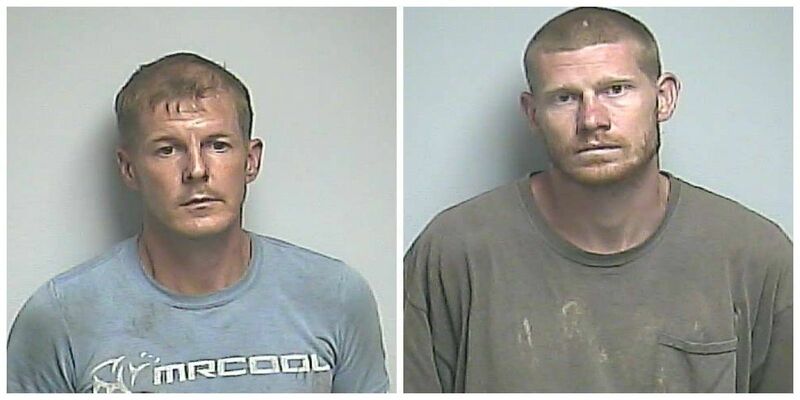 PADUCAH, KY (KFVS) - Two Paducah, Kentucky men are facing charges after taking lawnmowers and other items from a church property. Andrew Cook, 27, of Paducah was charged with two counts of burglary third degree. Joshua Beith, 40, of Paducah was charged with receiving stolen property under $10K, and third degree criminal mischief. On May 30 the McCracken County Sheriff's Department responded to the Oaks Road Church of God regarding a burglary to an outbuilding. Church staff reported that a zero turn Gravely mower was missing. A deputy suggested to church staff that they should set up video surveillance in the area. The sheriff's office responded again to the church on June 6 after the building had been burglarized again. During the course of the burglary, another mower was taken along with other yard care items. Video surveillance from the scene showed a suspect go into the building overnight and take items. While on the scene investigating the burglary, a deputy saw someone matching the description of the suspect riding a bicycle down Oaks Road. That person was stopped by deputies and interviewed. Based upon the roadside interview, Andrew Cook was taken to the sheriff's office and interviewed by detectives. During the interview, Cook confessed to the two burglaries and told detectives where the stolen items could be located. This information led deputies to several homes on Oaks Road. After going to one of the homes on Oaks Road, investigators found a Troy Built mower and bagging attachment that had been taken from the church. While on the scene, detectives spoke with Joshua Beith. Detectives arrested Beith for receiving stolen property for possessing the stolen mower. While in custody seated in the back of a marked sheriff's department cruiser, Beith became irritated and tried to kick out a side window of the cruiser, according to the sheriff's office. He was charged with attempted criminal mischief for attempting to break out the window. All items stolen in this case were located by deputies and returned to the church. The investigation is ongoing. More charges/arrests may be pending.